This weekend I had my first book signing event on a military base. The folks at Fairchild AFB were great to work with and as you can see I had a great location at the Base Exchange entrance. Santa was also there just a few feet away. This was the real deal. Turns out authors top his nice list! And Santa tops mine. Another author was doing a signing nearby. He told us that teenage his granddaughter had recently died in a horrible car accident. A scholarship fund had been established in her name. They wanted to have Santa attend the fundraiser, but were told he’d charge $100 per hour. Now that’s the Christmas spirit. Speaking of, books make great presents! Wrap up a copy of War Bonds today:-) Available at Amazon, Barnes and Noble and Independent booksellers nationwide. 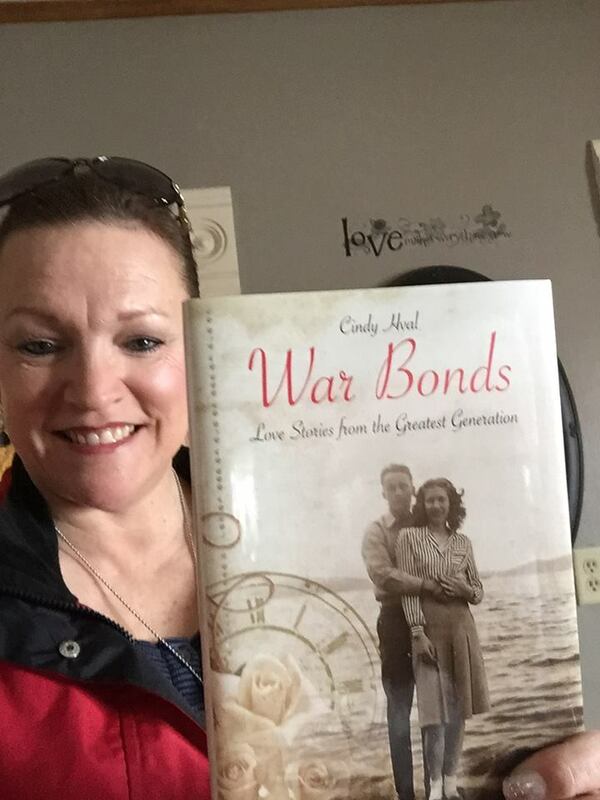 Cindy Hval at War Bonds book launch, February 22, 2015. 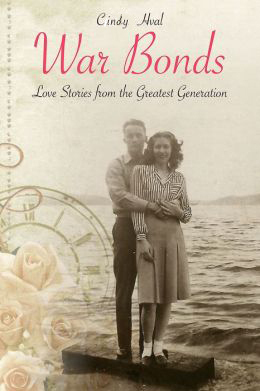 One month ago today marked the publication date for War Bonds: Love Stories From the Greatest Generation. What a month it’s been! Two weeks ago Casemate Publishers informed me the first print run of War Bonds had already sold out and new print run ordered! There are still copies in stores aross the nation, but the major book distributors are out and are waiting for the next run due on or before April 19. To me this response means these stories resonate– not just with members of the Greatest Generation but their children and grandchildren, too. 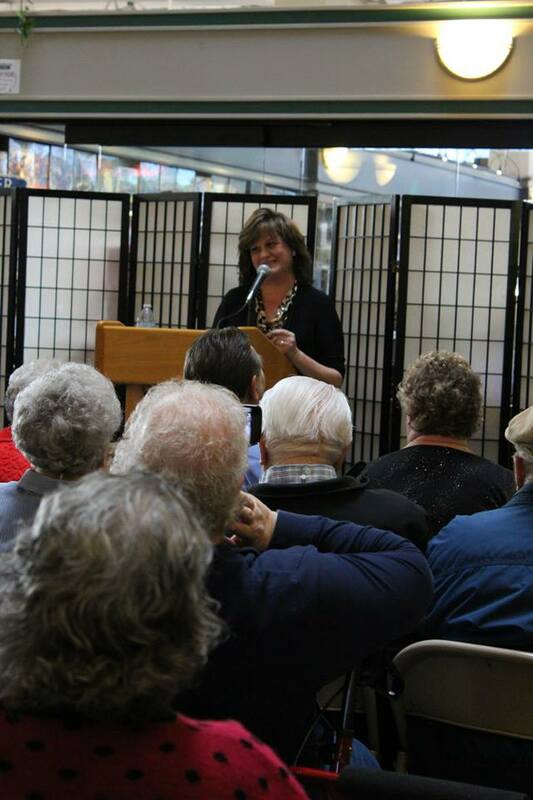 Since the book launch at Auntie’s Bookstore, I’ve done several author reading/signing events. (See scheduled events here.) At each event people come up and share stories involving family members who served during WWll. Their stories move and inspire me. I am so grateful to those who’ve purchased War Bonds and have written blog posts or posted reviews on Amazon, Barnes & Noble and Goodreads. 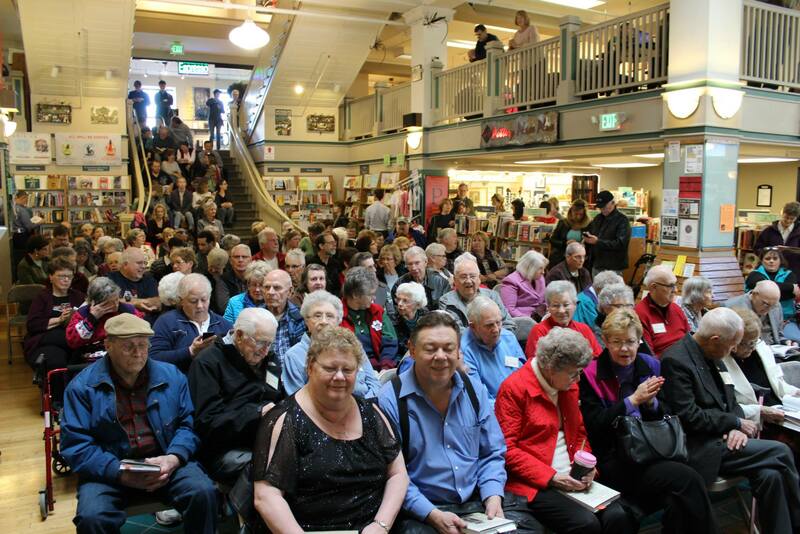 I’m thankful for the book stores, libraries and other groups who’ve invited me to do reading/signing events and most of all for the people who show up! I’ve always felt these stories deserved to be shared and these people deserve to be honored for their committment and sacrafice on the battlefield and on the homefront. How wonderful to find that so many agree. Thank you from the bottom of my heart. Here’s to a third print run! 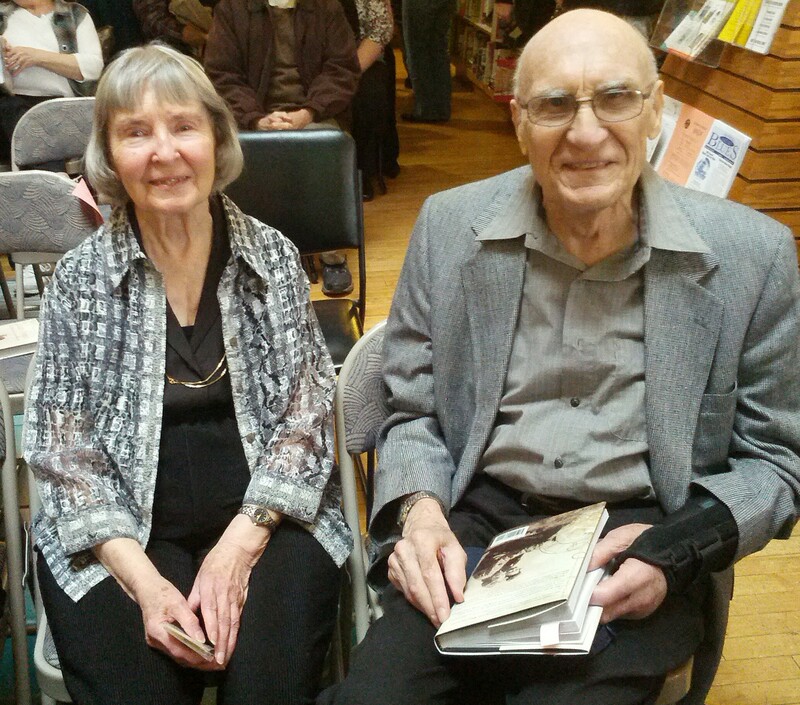 War Bonds book launch at Auntie’s Bookstore, February 22, 2015. War Bonds for E-Readers now available! Exciting news for Kindle and Nook lovers. 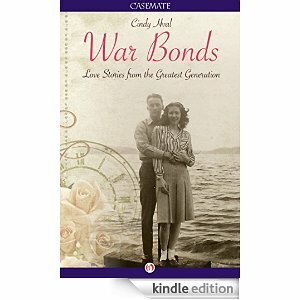 “War Bonds: Love Stories From the Greatest Generation” is now available in e-book format! You can download it from Amazon or Barnes & Noble today! 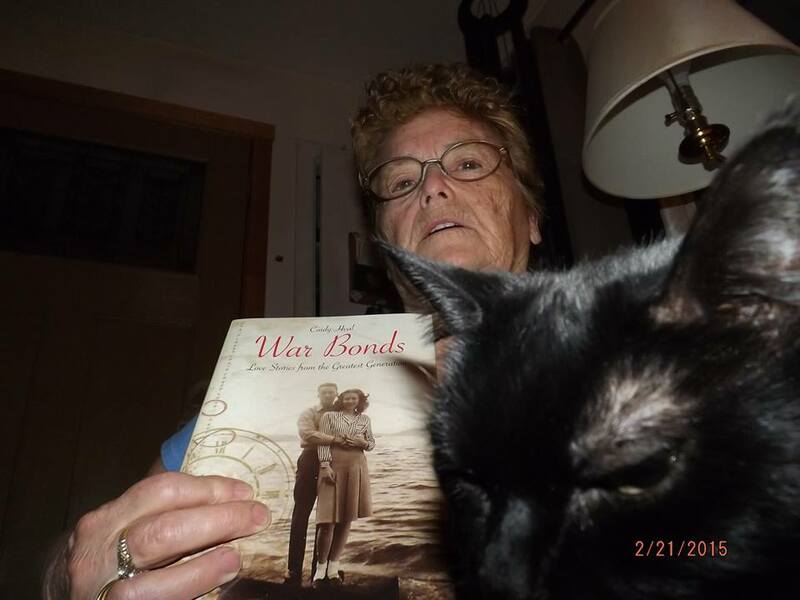 While I prefer the comfort and familiarity of a book in my hands, I know many readers prefer the ease and convenience of e-readers, so I’m thrilled War Bonds is offered in both formats. If you do download it from Amazon, be sure to post a review. I’m anxious to hear from readers!